When you think "Florida," you think oranges. 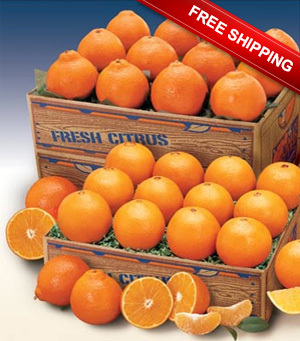 A classic, beloved choice for eating out of hand--or squeeze them up into the freshest, sweetest juice you&apos;ve ever had. 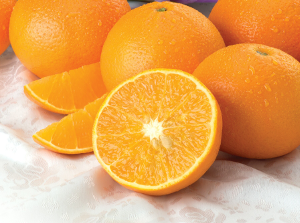 Everyone loves a fresh Florida orange, and ours are hand-selected for flavor and sweetness. 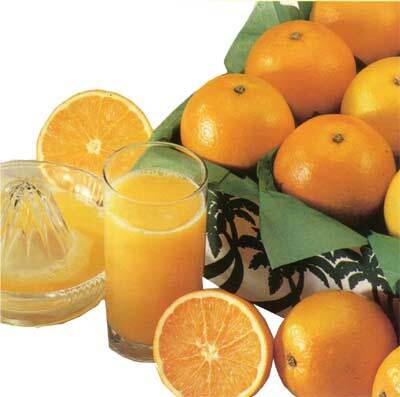 Seedless Florida Valencias, the signature flavor of fresh Florida Orange Juice. 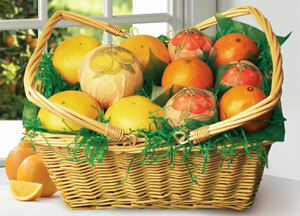 Wicker Picnic Basket filled with juicy sweet Oranges, Tangerines and Grapefruit. Last minute Priority Mail 2-3 day delivery to US only, including Alaska. 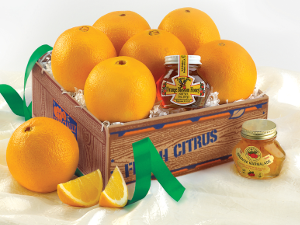 Affordable gift of Florida Oranges, Orange Marmalade and Orange Blossom Honey. 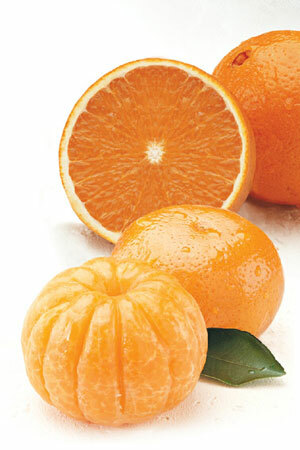 The finest fragrant and flavorful Florida eating orange available February only. 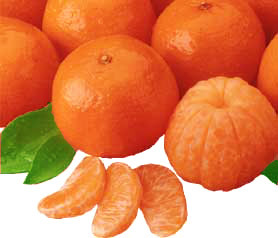 Often called Sour or Bitter Oranges, Seville Oranges are used in cooking. 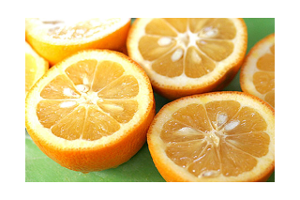 Great for eating out of hand, sweet, easy to peel and full of delicious juice. 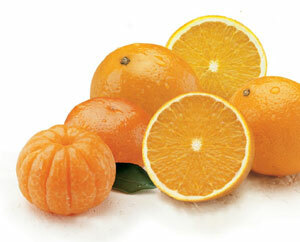 Florida Orlando Tangelo Oranges are thin-skinned, flavorful and easy to peel. 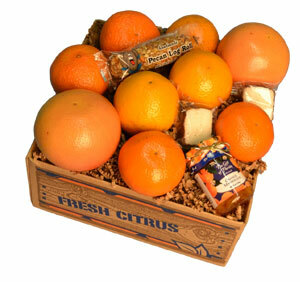 Our assortment of premium Oranges, Grapefruit and classic Florida specialties. 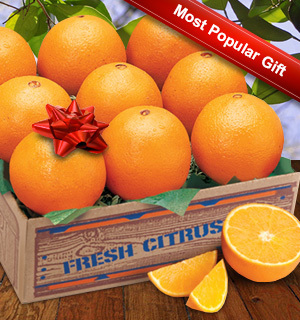 Grove fresh Florida Oranges and Ruby Red Grapefruit in our gourmet tray pack. 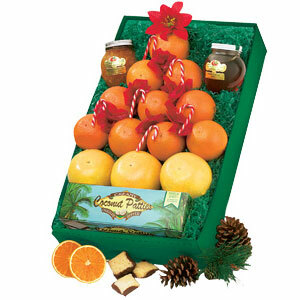 Holiday Grove Basket filled with Florida fresh Oranges and Ruby Red Grapefruit. 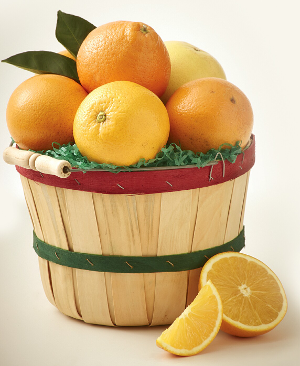 Say "Thank You" with an Orange - Tangerine basket of Florida Sunshine. 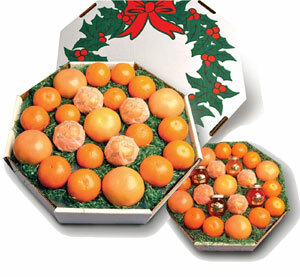 Late maturing Valencias and Honey Tangerines, filled with sweetness and flavor. 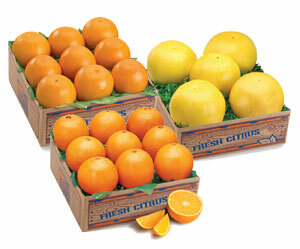 The two most popular varieties in one delicious pack: Navels and Honeybells. 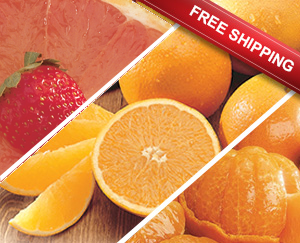 A trio of Samplers featuring Navel Oranges, Ruby Red Grapefruit and Honeybells. 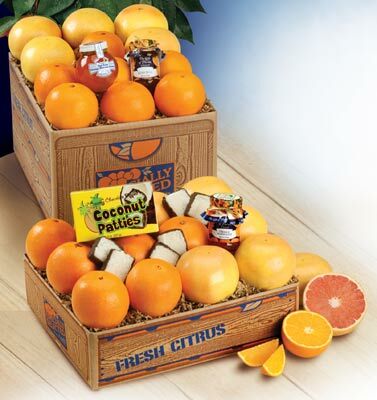 An exclusive combo of juicy sweet Florida Tangerines and seedless Navel Oranges. 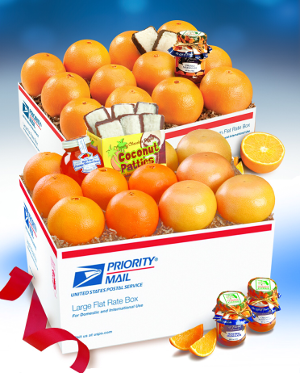 Oranges, tangerines, grapefruit and specialties arranged as a Christmas tree. 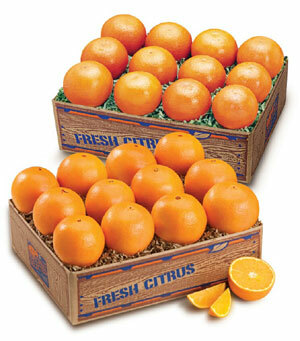 Rare connoisseur combo of juicy Orlando Tangelos and easy to peel Navel Oranges. 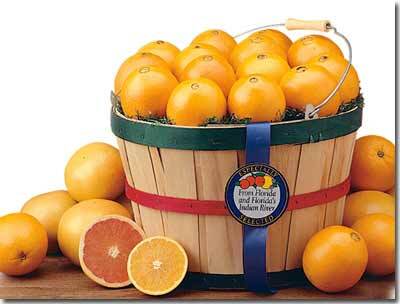 Four varieties of Florida Oranges and Grapefruit plus sweet Florida specialties. 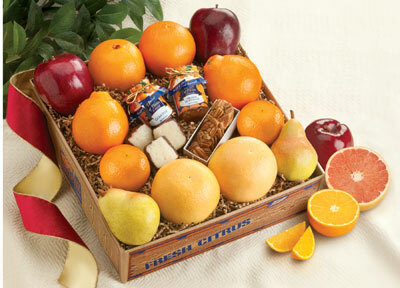 Four citrus varieties, orchard fresh apples, pears and four Florida specialties. 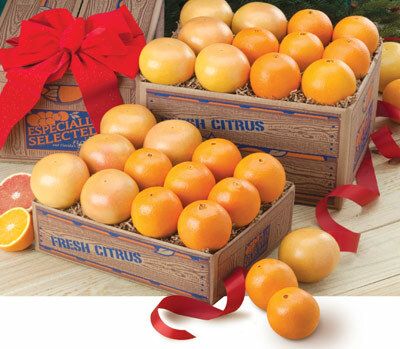 Premium Florida Citrus fruits beautifully presented in a wreath style carton.